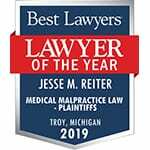 Here at Reiter & Walsh ABC Law Centers, we understand that making initial contact with legal professionals regarding your child’s birth injury can be confusing and uncomfortable. To ease your concerns, we assembled this guide to show you exactly what our intake process entails. During the intake process, our team will gather information about your unique situation. They will ask questions that help us to understand your story and better assist you moving forward. Our intake interview covers information in four main areas, which we discuss in detail below. These questions are simply to help us get an understanding of the situation from your point-of-view; you are not expected to have answers for all of these questions. At Reiter & Walsh ABC Law Centers we receive calls from all types of people. Most often the parents of a child with a birth injury will make this initial call, but frequently we receive calls from extended family members or close friends. Our intake team is prepared and happy to take calls from all of these parties. What is the name of the child you are contacting us about? What date was your child born? Was the baby full term? How many weeks gestation were you in your pregnancy? Were these children delivered vaginally? Were there any complications with these earlier pregnancies? Are your other children healthy and doing well? Where did you seek prenatal care? Who was your prenatal care provider? Did you have any health conditions prior to this pregnancy? Did you have blood pressure problems? Did you have blood clotting or other blood disorder problems? Were you ever told that you had a high risk pregnancy? Were ultrasounds performed during your pregnancy? What were the results of those ultrasounds? What was your pre-pregnancy weight? How much weight did you gain during the pregnancy? What made you go to the hospital? Were there concerns about the baby’s heart rate on the fetal monitor? Did the baby get stuck? Were forceps or vacuum extractors used at any point during the delivery? After the birth of a baby, proper in-hospital postnatal assessment and subsequent care are crucial for the healthy development of a child. Our intake team will gather information about your family’s postnatal care by asking the following questions. Again, you are not required or expected to have answers for all of these questions before your call. What was the appearance of your baby at birth? What was your baby’s color? Did he or she cry right away? Did your baby have any trouble breathing? Did your child experience any seizures after birth? Do you know if your baby was given antibiotics or other medications after birth? How long was your baby in the nursery or neonatal intensive care unit (NICU) after birth? While in the nursery or NICU, did your child require intubation or help breathing? Did your baby receive cooling therapy after birth? Were any labs or testing done on your child after birth that came back abnormal? Did your child have high bilirubin or jaundice? Did your child have abnormal blood sugar? Did your baby have an abnormal spinal tap? Is your child missing any milestones? Does your child hold her or his head up? Is your child rolling over? Is your child having trouble feeding? Is your child having trouble crawling or walking? Is your child having trouble grasping or turning objects? Is your child having trouble tracking objects with his or her eyes? If your child is in school, what grade or class is he or she in? Does your child require special education or other resources? What doctors is your child currently seeing? Does your child require physical, occupational, and/or speech therapy? Has your child had any head imaging done? When was the imaging done? What did the imaging show? Has your child had any surgeries? Will your child require any surgeries in the future that you know of? 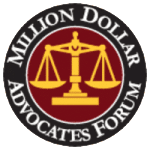 All of these questions are designed to provide our legal professionals with a snapshot of your unique story and case so they can help you in the future. Again, it is not important that you have answers to all these questions. Give us a call and we will be happy to start the intake process with you. For more videos, visit our video library here!